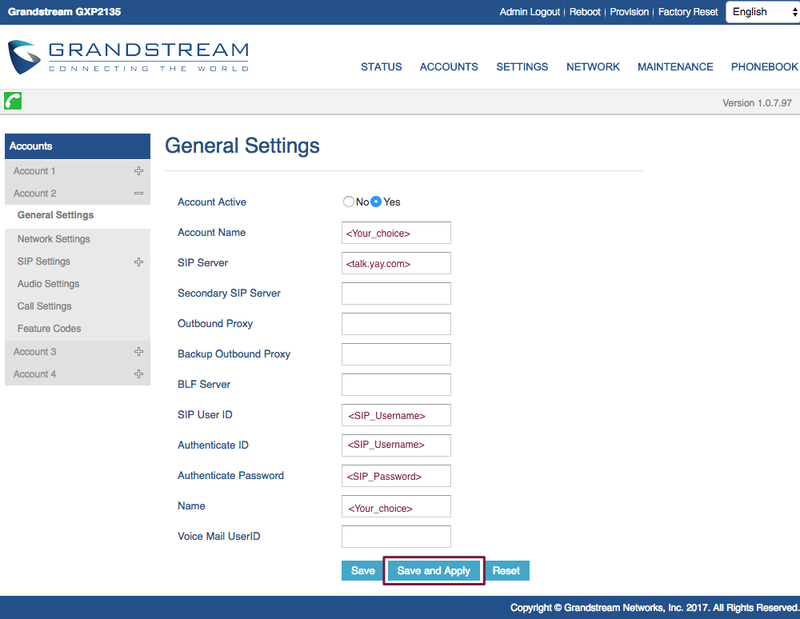 Home > VoIP Support FAQ > VoIP Phones > How do I set up a Grandstream GXP16xx or GXP21xx series IP phone? 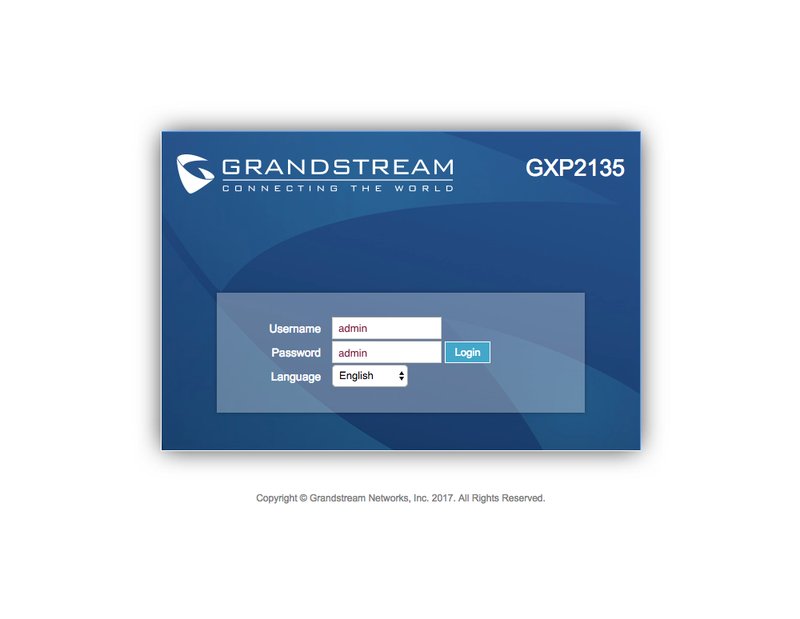 How do I set up a Grandstream GXP16xx or GXP21xx series IP phone? 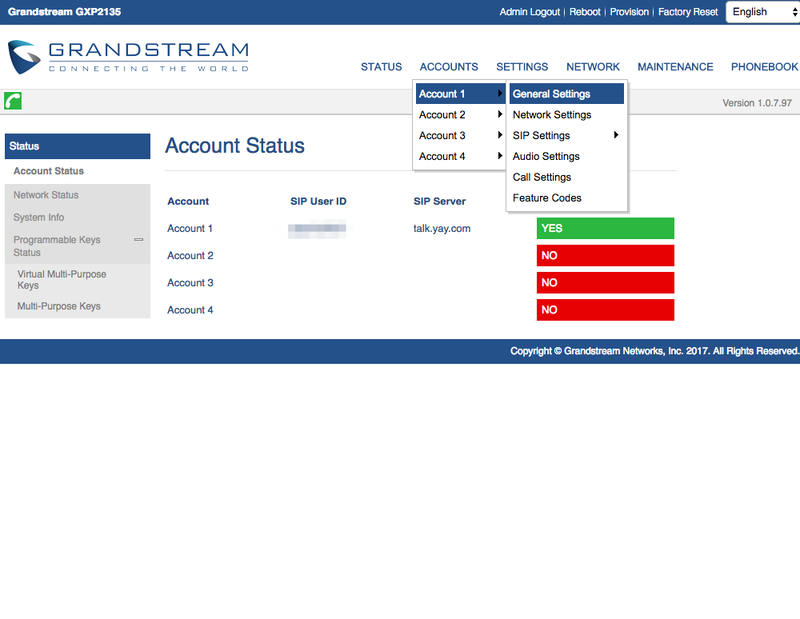 Luckily for you, Grandstream phones are fairly simple to set up! First you'll need the IP address of your phone, which you'll either be able to find by pressing the up arrow on your key pad, or through the phone's settings. Once you have this, type it into your browser and the GUI will appear. 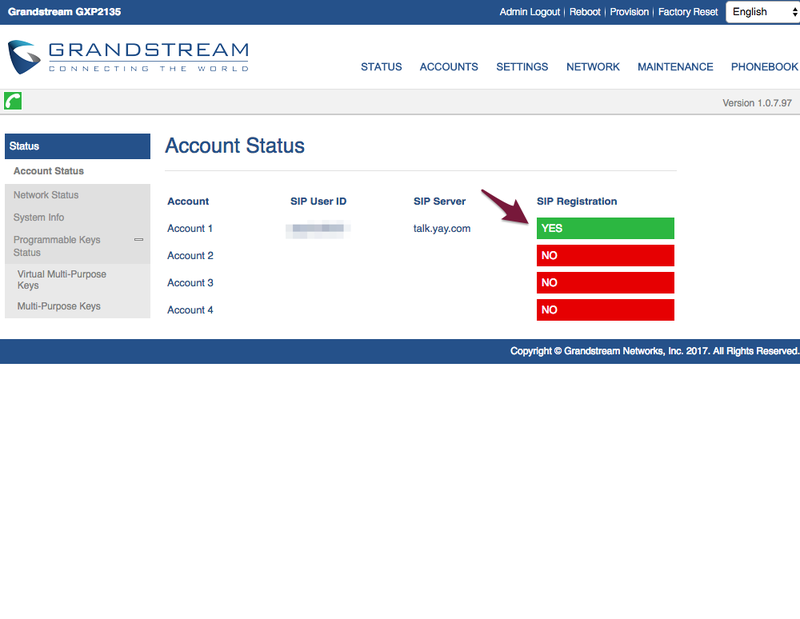 You will need your <SIP_Username>, <SIP_Password> and host <talk.yay.com>. Login credentials are admin, admin. Navigate to Accounts > Account 1 > General Settings. Enter your SIP details here. This is also the page to revisit if you ever want to modify them, but do note that the password won't be displayed for security reasons (it will look like a blank box). Remember to Save and Apply. Now it's just a case of checking to make sure the phones have registered. Please note that this may take some time. Congratulations! You're all set up and ready to start making calls.